Poll: After the Dublin Bus pay deal, do you feel you deserve a pay rise? Should a rising tide lift all boats? YESTERDAY’S DEAL BETWEEN Dublin Bus and its employees will see drivers get a pay rise of about 11.25% over three years. The pay rise equates to about 3.75% each year for three years and is almost on par with the pay rise secured by Luas drivers earlier this year. 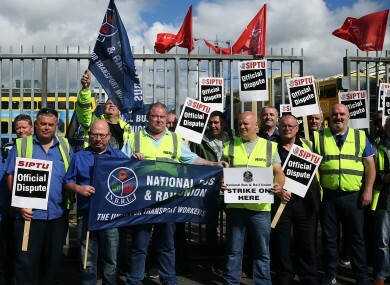 With further industrial disputes on the horizon, such as the upcoming garda strike, the government is also being forced to examine public sector pay deals. With all this talk, does it make you assess your own situation? Today’s poll, Do you feel you deserve a pay rise? Email “Poll: After the Dublin Bus pay deal, do you feel you deserve a pay rise?”. Feedback on “Poll: After the Dublin Bus pay deal, do you feel you deserve a pay rise?”.